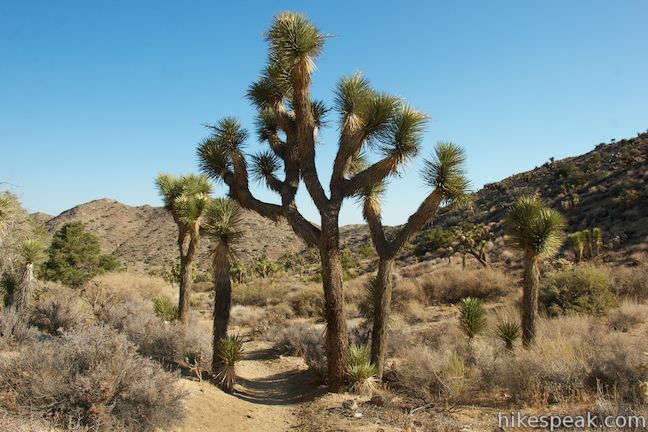 Joshua Tree National Park has some of the finest hiking in the California desert. Although the absolute best trail may be hard to name, it should be possible to find the best hike for you based on what you’re looking for. Get a grand view over Joshua Tree from the top of a mountain. Ryan Mountain – Centrally situated in the middle of Joshua Tree and conveniently located off Park Boulevard, the hike up Ryan Mountain offers a panoramic overview of Joshua Tree’s awesome rock formations. Ryan Mountain Trail is 3 miles round trip with 1,050 feet of elevation change, so it packs a bit of a workout. 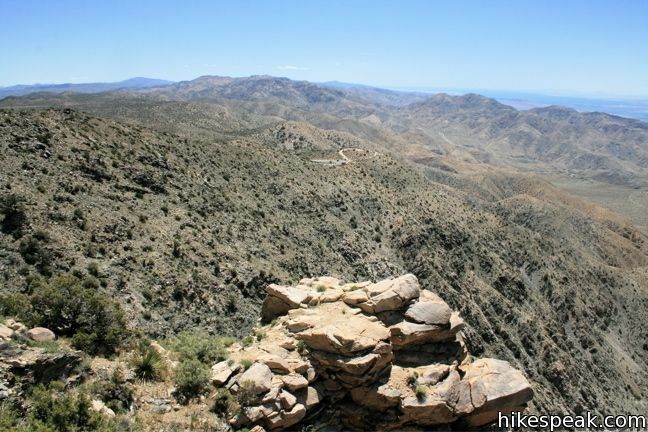 Warren Peak – To see the lofty, often snow-topped, summits of Mount San Jacinto and Mount San Gorgonio, hike to Warren Peak on the west side of Joshua Tree. Leave Black Rock Campground on a 5.5-mile round trip trek to the summit. Inspiration Peak – For a summit hike that skimps on the distance but doesn’t skimp on the views, take a 1.2-mile round trip hike from Keys View to Inspiration Peak and gaze out over the desert to the south. Visiting the viewpoint is highly recommended for first-time visitors, making the hike to Inspiration Peak a nice bonus. One of the coolest things to do in the desert (especially on hot days) is to hike to a palm tree oasis. Fortynine Palms Oasis – Explore a nearly outside-the-park hike on the north side of Joshua Tree, venturing over a ridge into a canyon to a cluster of California fan palms beside boulders and pools. 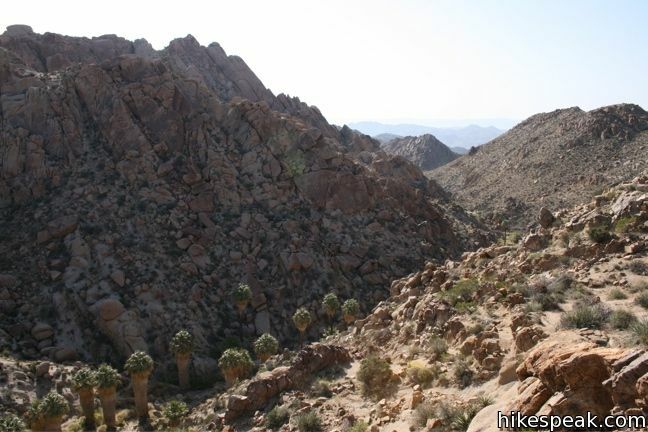 Fortynine Palms Oasis Trail is 3 miles round trip with 350 feet of elevation change. Lost Palms Oasis – For a longer hike, head to the east side of Joshua Tree. Lost Palms Oasis Trail actually starts from another palm tree oasis, so you get double the action on this 7.2-mile round trip hike. 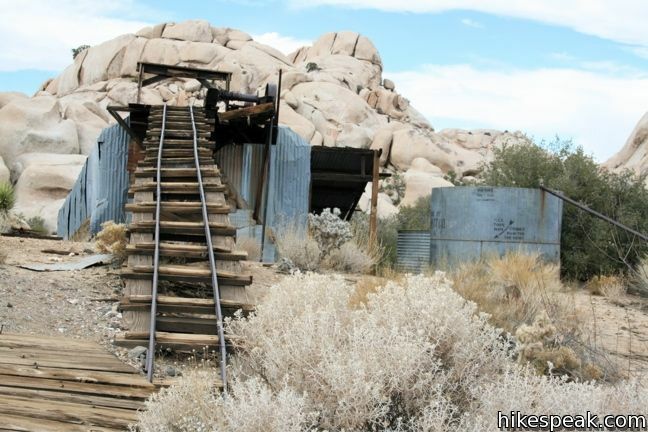 Joshua Tree has a compelling mining history with mines and machinery left behind to visit. Wall Street Mill – Gold and silver ore mined in Joshua Tree in the early 1900s had to be milled to extract the precious metal. Wall Street Mill Trail passes along the Wonderland of Rocks and leads hikers to rusting ruins of am old mill. Desert Queen Mine – One of the places that provided ore to Wall Street Mill was Desert Queen Mine. Discover old mine shafts and machinery that haven’t been used since 1961. Lost Horse Mine – See the best-preserved mill and mining operation in the park by hiking to Lost Horse Mine. Fencing keeps visitors back from all the old material, but there is still plenty to see. Contact Mine – Consider Contact Mine for an off-the-beaten-track hike up to an old mine. The trailhead may not be marked, but most of the route is well established, leading to a rusting mining operation with untarnished desert views. Joshua Tree has awesome rock formations. You don’t have to be a professional climber to scramble up some granite boulders. Arch Rock – Like the desert parks in Utah, Joshua Tree has it’s own natural arch. Arch Rock is a short walk from White Tank Campground and surrounded by boulders to climb around on. Hidden Valley Loop Trail – Hidden Valley is one of the best first stops on a trip to Joshua Tree. Make your way between boulders to a patch of desert surrounded by ridges of impressive rock formations. Take a level walk around Hidden Valley or hop off trail and scramble your way up some boulders. What else might you find only in Joshua Tree? Cholla Cactus Garden – The easy stroll through Cholla Cactus Garden is strictly hands-off. These cute looking cactus are fun to look at, but anyone who touches a ‘teddy bear cactus’ will regret it! Barker Dam Trail – Although the reservoir in Joshua Tree’s Wonderland of Rocks can dry out in the desert heat, it is an unusual and beautiful setting when water is present. See for yourself on the short, level loop to Barker Dam. What about the Joshua trees? Joshua trees can be seen through the park. Barker Dam Trail, Wall Street Mill Trail, High Valley Nature Trail, and Warren Peak Trail are great places to hike between the Joshua trees. What about the other trails? These aren’t the only worthwhile hikes in Joshua Tree, just a selection to get you started. 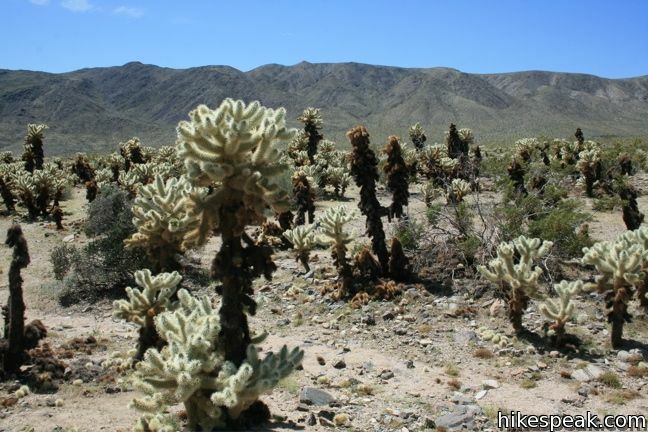 Visit the main Hikes in Joshua Tree National Park page to find even more trails. Search and sort through a list of hikes to find the trails that interest you the most.